For complete protection of user and chair. The rain cape is 100% waterproof. 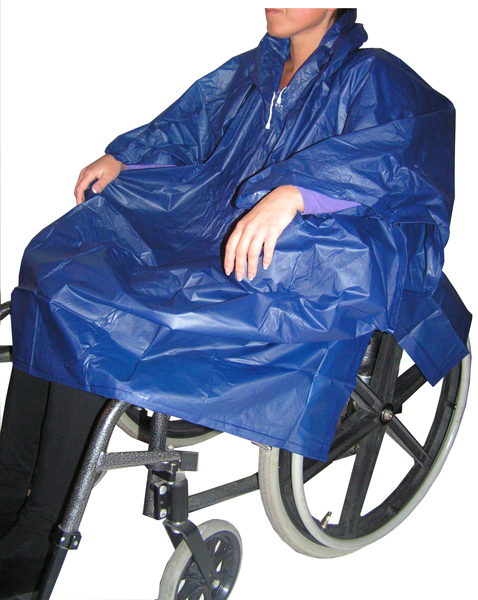 The rain cape is fitted with push buttons and a cord to close off the hood. The elastic side closes for a waterproof fit. With sleeves.